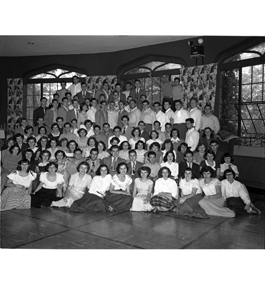 In fall 1948, many members of the Class of 1952, 107 students strong, gathered in the Usen Castle commons room for a group shot taken by university photographer Ralph Norman. This fall, Brandeis celebrates its 70th anniversary with an entering class roughly nine times larger than its inaugural one. 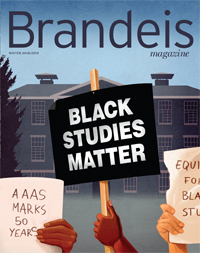 Ties, jackets and peasant blouses may have given way to T-shirts and sweats, but Brandeis’ value proposition — the opportunity to study with renowned professors, join a welcoming community and help make the world a better place — is as relevant today as it was in 1948.